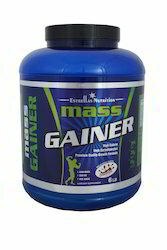 We are leading manufacturer and exporter of Whey Protein. 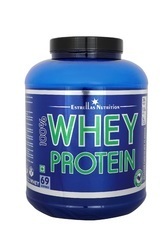 Estrellas 100% Whey Protein is an excellent quality protein formula designed exclusively from whey. Dietary proteins are the source of nitrogen and indispensable amino acids which the body requires for tissue growth and maintenance. Therefore Estrellas 100% Whey Protein contributes to the growth and maintenance of muscle mass and also to the maintenance of normal bones. Estrellas 100% Whey Protein has more added ingredients: an "Amino Acid Matrix" provides extra amino acids, namely Taurine and L-Glutamine. L-Glutamine is the most abundant free amino acid in human blood.